Entrants must be 18 years or over by 1 September 2019. Entries must be in the entrant’s own name/names, not pseudonymous. If successful, you can request that we use your nom de plume on anything we publish on the site. Entries can be on any theme or subject but must be original and written in English. They must also be for adult readers. Non-fiction and fiction written for children under 14 years is not eligible. Simultaneous submission is permitted. Should your flash fiction win a prize or be published elsewhere, please let us know so that we may remove your entry from the current Award. Maximum length is 250 words, title excluded. Entries should be typed in a plain legible font. Entries will be read and judged anonymously. Do not put your name, address, email, telephone number or any personally identifying information on any page. Acceptable file types are doc, docx, txt and pdf. Entry is via the online form with attachment. We do not accept postal entries. There is no limit to the number of entries any single entrant may make. The entry fee is £5 per story. Submissions must be paid for via donation to the Flash Fiction Award Fund on the Charities Aid Foundation website. 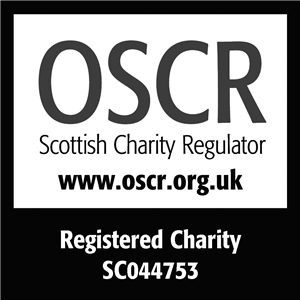 This page is administered through the Scottish Arts Club Charitable Trust. All proceeds are used to support the arts in Scotland. Three short-listed finalists in the Edinburgh International Flash Fiction Award will be notified in August 2019. The shortlisted writers will be invited to participate in the Scottish Arts Club Short Story Awards Dinner to be held on Saturday 5 October 2019 at the Scottish Arts Club in Edinburgh. The announcement of the winner will be on our website, via Facebook, Twitter, and through our newsletter issued in August 2019. At least two works will receive commendations and publication on our website. Entry constitutes acceptance of all Edinburgh International Flash Fiction Award Rules, Terms and Conditions, and Privacy Policies. Entries that fail to comply with rules, terms and conditions, privacy policies and requirements will be disqualified. No correspondence can be entered into, Judges’ decisions are final.